Google AdWords Manager to the rescue! Google AdWords can be a tremendously effective form of advertising in the right hands. It can generate a flood of quality prospects to your web site FAST! We’re an accredited Google AdWords partner, rated the Gold Coast’s best advertising agency, award winning and we’ve been creating success for clients with AdWords since 2002. Have our certified Google experts fast-track your success with Google AdWords. Google Adwords is a pay per click (PPC) advertising platform that allows businesses to pay for specific keywords related to their business. Bidding on this search terms would make an Ad pop up on Google’s first page giving your business the opportunity to reach and engage potential clients with high intention of purchase. Remember a user might be searching for a product or service just like yours so, why not placing an Ad for them to see that you have what they are looking for!? See what our Google AdWords accredited expert Carlos has to say. Carlos is a highly regarded Google expert and is a leader in the field. Are My Customers Really Using Google To Make Buying Decisions? Have you heard the expression “Google It” ? Well this pretty much answers your question… But let us explain this a bit better. The biggest value of Google Adwords is the people you are targeting to. These are users with high intent of purchase, they are actually looking for the product/service and they want to buy it straight away. Just picture yourself looking for the best rates on car finance. What do you do? 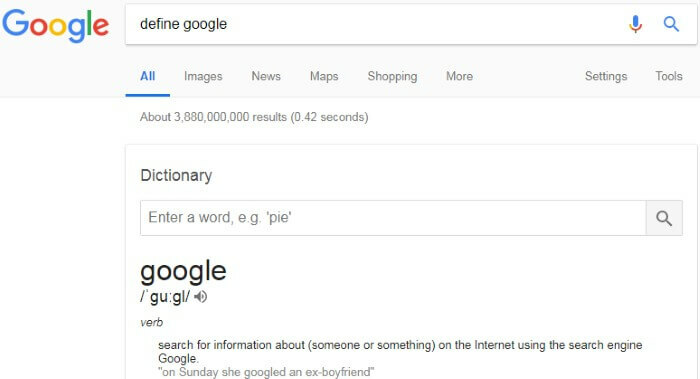 You Google It! With 93% of Australians searching on Google for local businesses just like yours, your best bet is to be there when they need you. If you are not convinced here are 10 more reasons why you should use Google Adwords for you business. Google AdWords top 3 Ads generate around 40% of clicks to a website: That is a 40%+ increase on qualified traffic to your site! AdWords is faster than SEO: With AdWords your site would be on the top 3 positions in no time. AdWords traffic might convert better than organic traffic: Users that click on an Ad have high intent of purchase. Business branding: Your brand would come up first on related searches. Precise Targeting: Reach the right people at the right moment. Get market insights: AdWords lets you understand how the consumers behave and search. Suitable business of all kinds and sizes : AdWords is an extremely flexible marketing platform. Stay local or global: Advertise to your local and international market. Google AdWords can be the fastest way to get visitors to your web site – visitors who are keenly interested in what you’re selling. How long before Google AdWords management get results? That’s an easy one to answer. Almost instantly. Depending on the size of your campaign, we can have you up and running with AdWords in a matter of hours. Within a week or so you’ll have a very good idea on what sort of ROI you can expect from your AdWords investment. Keep in mind, that generally the longer an AdWords campaign goes on, the better it performs (to a certain extent). This is because the data helps us make more informed decisions on how your market behaves and we can further refine the strategy and tactics. How long have you been managing AdWords? Good question, because experience counts. We’ve been managing AdWords accounts for close on 16 years. They started way back in 2000 and our first AdWords account (for ourselves) was set up in 2002. Over those years we have managed campaigns worth millions of dollars and had some terrific successes. As accredited Google partners, we occasionally hold Google Partners Events in the office. We have a site that is already doing 3 times more sales, with the averages sale price over 4 times what it used to be. “Wow!!! That’s all I can say – can’t believe it, incredible and I like the way you said “We” – I’m sure we’ve helped in some way lol. You need to find the best keywords to target. Because some words that are searched for will result in more sales than other words. You need a well written ad. Make sure you use the best words, and structure the ad for best results. If you do this the right way, even if your ad costs less per click, you can still be above more expensive ads! And that means more bang for your buck. You need to continually test your ads against each other to see which ads perform the best. Well performing ads make you money, Poorly performing ads cost you money. You need to maximize your ads to make sure you make the most sales and don’t miss out on revenue you deserve. You need to have a highly targeted landing page. That is, develop a page specifically for the advertisement you have running. It’s much more effective to bring a person searching for blue widgets to your blue widgets page rather than your generic home page.All the things a Google AdWords Manager can provide. This will result in many more sales and better performing ads. 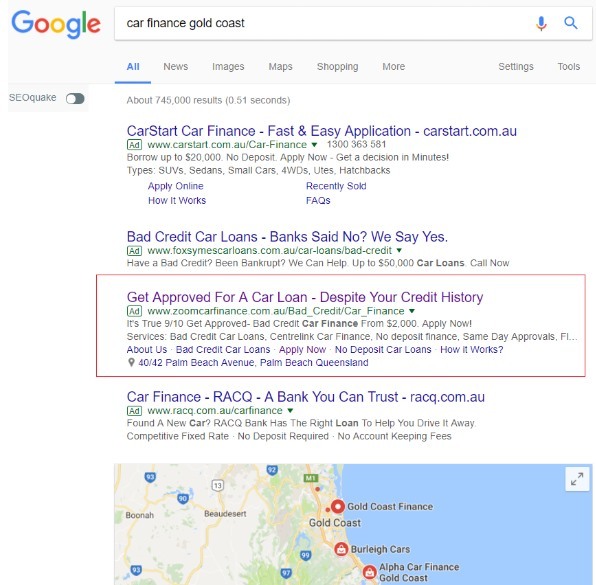 These first 4 steps are as relevant now as when our CEO Brendon Sinclair wrote them way back in 2005 describing how he used Google AdWords in Brisbane take take one of his own sites from $0 to $20,000 per day in sales in just 16 weeks. That’s experience and experience that counts. team members, it’s experience that makes the difference. landing page designers, copywriters and more. Accredited Google Partners, rated the Gold Coast’s best ad agency, servicing Brisbane and beyond, getting real results and committed to success. With 20 years of success, we know just how to give you awesome value. We’re headed up by the guy who wrote the book ……literally! Our founder and CEO Brendon Sinclair literally wrote the book on web businesses – his “Web Design Business Kit” (3 editions from 2003-2007) has been one of Australia’s most profitable ever business books. Our experience and expertise is evidenced by some of our remarkable Google ranking successes – including # 1 rankings for hugely competitive terms. Here’s where our experience comes into play – see below what Brendon wrote about AdWords back in 2009! According to data released by the UK Internet Advertising Bureau (IAB), total online advertising expenditure in the UK totaled £1.4 billion ($3.4 billion AUD) in 2005 – a huge 65.6% increase on 2004. 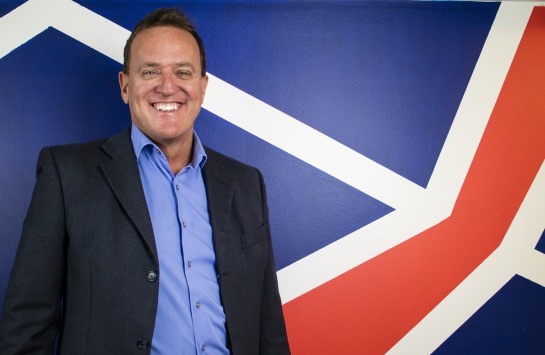 The UK figures almost mirror the Australian industry which shows that online advertising will overtake the amount spent on print and radio advertising by the end of the year. It’s very easy to understand this incredible growth – online advertising is fully accountable, flexible and it works. No more do advertisers have to take pot luck with ad campaigns based on nothing more than readership or viewers who have no interest whatsoever in what is being advertised. Pay Per Click advertising is without doubt the biggest revolution in advertising since television. Pay Per Click advertising is simply ads that appear on large search engine sites. When you type in a term to search for, the results you get back contain a mixture of ads and ‘normal’ results. If you click on an ad the person advertising is charged a certain amount—depending on how much they bid to be in the position they are (the higher up the page the more the ad costs). Sure. Type ‘gold coast holiday’ into Google. On the right hand side of the screen you’ll see a row of ads similar to the one below. If you click on that ad you are taken to the advertisers’ web site and he is charged by Google. Where Can I Buy Ads? The major search engines all run Pay Per Click advertising – it’s the way they make their money. Google AdWords are the most well known and, in our experience, the best performing. You need to create an account with Google and then set up your ad campaign. The cost per click (visitor to your site) varies. Some legal sites in the US pay a staggering $50 per click/visitor (Edit note 2018 – we have legal firm clients paying in excess of $100 per click these days)! The minimum is 10 cents per click. Generally, we pay 70 cents per click on average (it depends on your industry and how many other people are bidding on the ads. How Can I Tell If The Ads Have Worked? This is the beauty of Pay Per Click advertising. It is perfectly accountable. When you set up your advertising you get full access to all statistics. One of our clients has a resort in Surfers Paradise. We’ve implemented Pay Per Click advertising with Google AdWords. We target a range of keywords/phrases (approx. 160 phrases). $7,000 In Sales From $86.07 In Advertising! So every booking made by people clicking on the resorts’ ad on Google costs my client just $8.61 in advertising costs. The average position on Google for my client’s ad when someone types in ‘surfers paradise accommodation’ is 5.4. 1. If we increase the ad bid amount from $1.23 we would increase his position on the Google page to be higher. If he made position number 1 it might cost $4 per click (for example). The ad would most likely get more clicks. We will be testing and implementing this over the next few weeks – we are testing 160 phrases at present. 2. The best way to get more clicks is to have the ad clicked on by more people – currently 2.2% of people who see the ad click on it – rather than pay more per click to get a higher position. This is where creative comes into play – a well written ad with a catchy headline can make all the difference. That information is from almost 10 years – can you imagine the expertise we can share with you now as your Google AdWords manager!